Spouse Name (if applicable) Please enter valid data. Mobile Number (for texting) REQUIRED Please fill out this field. Please enter a phone number. Email (that you check!) REQUIRED Please fill out this field. Please enter an email address. Recommended for first time participants or for returning participants who would like to explore a foundational study or didn&apos;t have an opportunity to complete this study in a previous year. Recommended for participants who have already completed Opening Your Heart or who have extensive bible study experience. 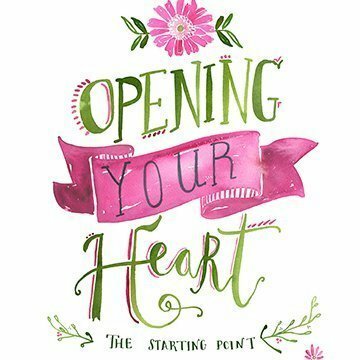 Please select the course you are most interested in: REQUIRED Opening Your Heart (foundational 22 week study from Aug - May) Touching the Divine (22 week study from Aug - May) Please fill out this field. Option 2 (Touching the Divine) will be offered during both the morning and evening meeting time. Option 1 (Opening Your Heart) will be offered based on participant interest. We plan to offer it during the evening session for sure, but may offer it during the moring session as well depending on participant interest. All Walking with Purpose studies consist of small discussion groups and larger group discussion sessions. With the guidance of the Holy Spirit, the small discussion groups will be selected by the WWP coordinators and will remain consistent for the duration of the study year. is a larger group discussion that is a mixture of women from various small study groups. A "Connect Coffee" is an opportunity to relax and watch an inspirational video that relates to the Bible study material, and is full of practical applications that make a difference in our day-to-day lives. Please answer the questions below to assist the WWP coordinators in making small discussion group placements. If you have any special requests regarding yoursmall group assignment, please use the "Additional Information" box to provide that information. Which applies to you? REQUIRED This is my first time to participate in a WWP study I have participated in WWP in the past Please fill out this field. Walking with Purpose study sessions meet at two different times. Please select the meeting time you plan to attend: REQUIRED Wednesday Morning: 9:15 am - 11:15 am (SELF PAID childcare available) Wednesday Evening: 7:30 pm - 9 pm (No childcare available) Please assign me to a small group in both meeting times as I might have to "flip-flop" between both meeting times. Please fill out this field. Please select the age group that best fits you: REQUIRED 20 - 29 30 - 39 40 - 49 50 - 59 60+ Please fill out this field. Please provide any information about yourself that you think might be helpful in assigning you to a small discussion group. Note that this information will remain strictly confidential. *The annual registration fee covers the cost of WWP supplies that will be used throughout the year to facilitate the program. The Hospitality Team will provide all of the food and beverages for each session (with the exception of Connect Coffee meetings). The annual fee also helps to cover the costs of the program, special events (Reconciliation Service & Adoration Service), and food/beverages. Cost should NEVER be a deterrant from participating in WWP! If you feel financially stretched, please select the option that best fits you (this informaiton is strictly confidential). Regarding finances, I would like to set up a payment plan. I am in need of a full financial scholarship. Would you like to provide a donation or a scholarship to help this ministry? If you would like to provide a donation of any amount, it would be greatly apprciated! To do so, you can choose the Donation option from the online WWP payment options by clicking here. THANK YOU for your generosity! For your convenience, childcare is available for Wednesday morning participants (NOTE: Childcare is NOT available for the Wednesday evening session). As a general guideline, children should be 6 months of age or older to utilize the childcare service. Infants/babies are welcome to stay with you during the WWP lessons so long as they are not disruptive to the group (excessive crying, talking, etc.). For the sake of building connections among our small group members, we respectfully request that all children 1 year and above utilize childcare. Childcare costs are determined based on the number of kids utililzing the service. We do not yet have that information. Historically, childcare costs have avergaged $20 per month for 1 child and $40 per month for multiple children. Regarding Wednesday MORNING childcare, which applies to you? I will utilize the service I will not use the service I may need to use the service from time to time and am willing to pay a "drop in" rate when I use the service.